La bicicleta verde (Wadjda) - Bicivilizados. Ciclismo urbano. Alegría entre tus piernas. Wadjda is a 10-year-old girl living in a suburb of Riyadh, the capital of Saudi Arabia. Although she lives in a conservative world, Wadjda is fun-loving, entrepreneurial and always pushing the boundaries of what she can get away with. 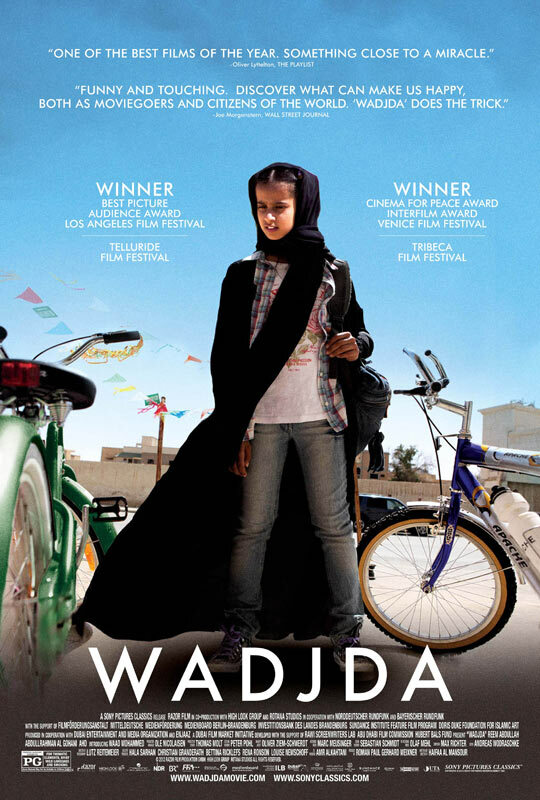 After a fight with her friend Abdullah, a neighborhood boy she shouldn’t be playing with, Wadjda sees a beautiful green bicycle for sale. She wants the bicycle desperately so that she can beat Abdullah in a race. But Wadjda’s mother won’t allow it, fearing repercussions from a society that sees bicycles as dangerous to a girl’s virtue. So Wadjda decides to try and raise the money herself.